I’m not sure what the right amount of portals are. I remember the sense of exploration and adventure from classic/vanilla when some zones are “remote” and some are “near” to major portal or travel locations. But that game was a long time ago. To be honest, I think in general you guys should not be using portals as much as you do. Rather, factions should have major outposts or cities connected by zepplins and boats. The fact that I don’t take a ship to and from Kul Tiras feels pretty lame from a fantasy perspective. But again, I’m not sure WoW as a “fantasy adventure” game exists any more. I feel like this also ties into the recent controversies surrounding flying. I suppose my only advice is that Blizzard needs to grow a stiffer spine about it’s design direction. If you are going for a feeling of a large world of adventure to be explored, you should be removing as many portals as you can and connect major outposts of the world with more “adventurous” forms of transportation. 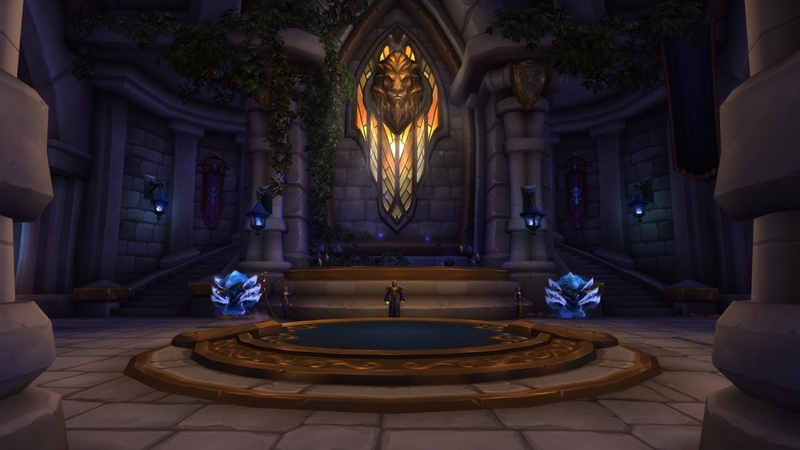 If you are trying to facilitate WoW as more a theme parky action RPG (and honestly, there’s nothing wrong with that) then you should just keep every portal and put them all in the portal room so WoW players can get out to the “scenario” they are looking to experience. My main point is that the designers seem to be trying to have both at once, and it feels half baked in both directions. Pick one and commit. Blizzard removes all the portals in the game, except major portals in the hub cities to other hub cities. But as a give, they update the Hearthstone to allow you to teleport to any inn that your character has been to in the game. So, instead of a few portals you have essentially a million portals (just on a 15m timer)? Never really have to travel anywhere. That’s super convenient, but I feel pretty strongly super unhealthy for the game. Not sure that counts as a “compromise” at any rate. Sounds pretty broken to me. Many of these will not be added to the new portal room. if you have to ask can you benefit from the answer? You’re enjoying the game wrong. You need to do more things that Blizzard tells you are fun, in the way they have determined to be optimally efficient. God forbid you choose the wrong fun activity and miss out on the better fun.